There are just some days that call for you to get in the car, forget your responsibilities and drive away with the wind in your hair and the radio playing. Today was one of those days! 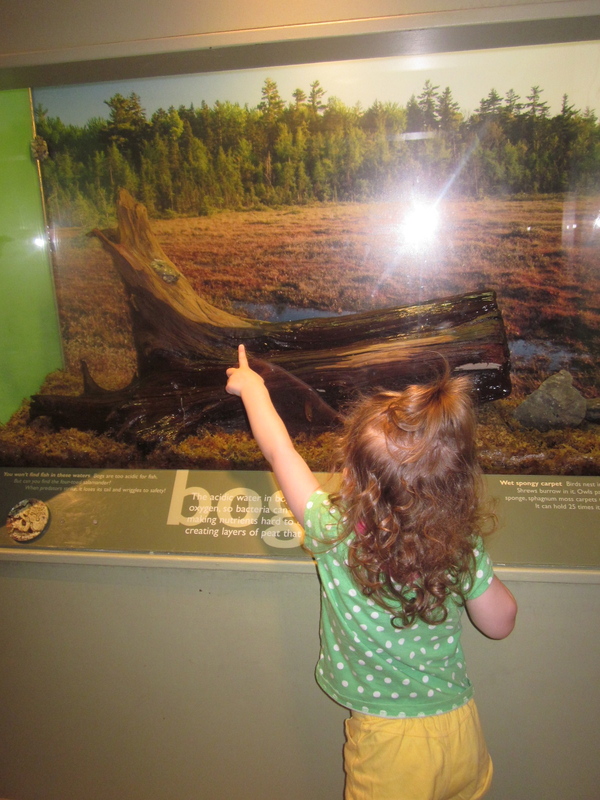 With temperatures predicted to be in the 80’s (40 degrees above normal for this time of year) we decided to forget about school, packed up a picnic lunch and headed off to the Ecotarium. With our membership to the Museum of Science admission was free and the whole adventure cost us $9 (plus gas) which was the cost of the very cool train at the Ecotarium. What a fun day we had! 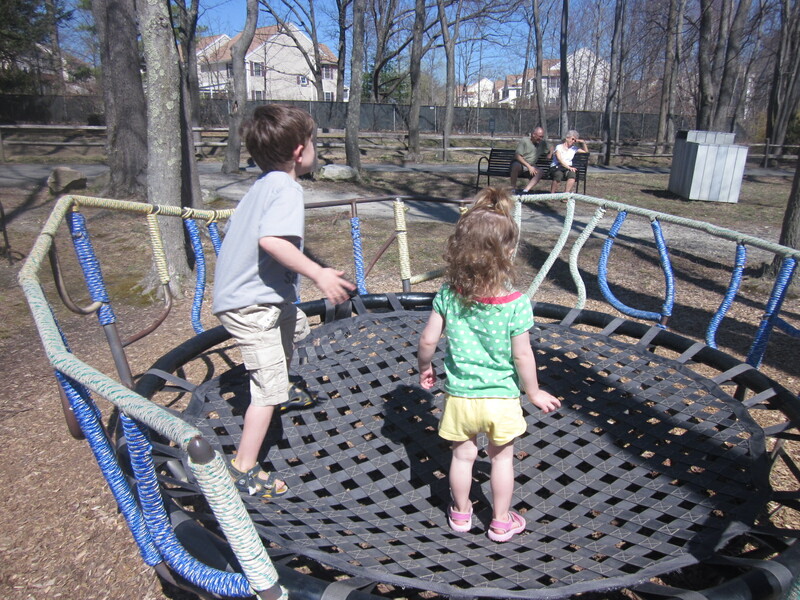 There were three floors of fun hands on exhibits, a playground, the train, injured animals in “natural” enclosed habitats, lots of walking trails and we had our picnic on a grassy area under a tree. 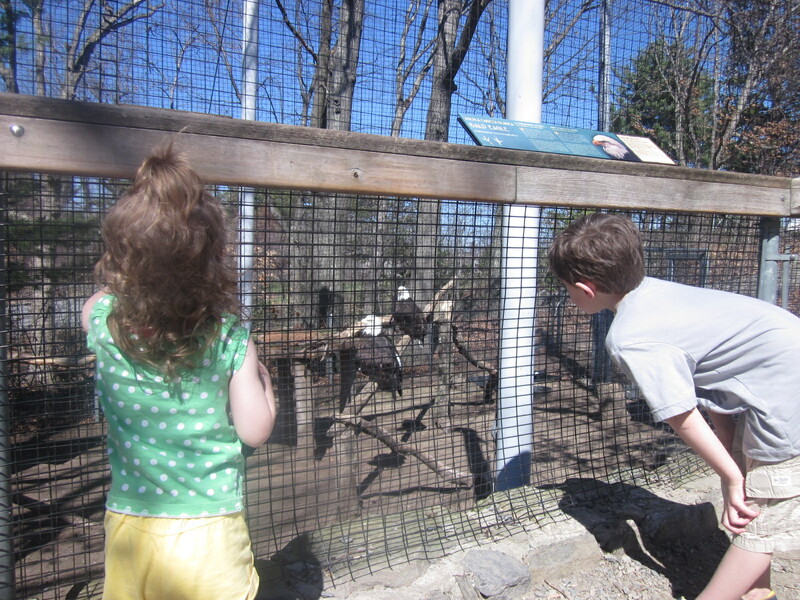 The big reason for our visit was to see the mama and papa bald eagle! Their names are Liberty and Justice and we went to see them twice while we were there. 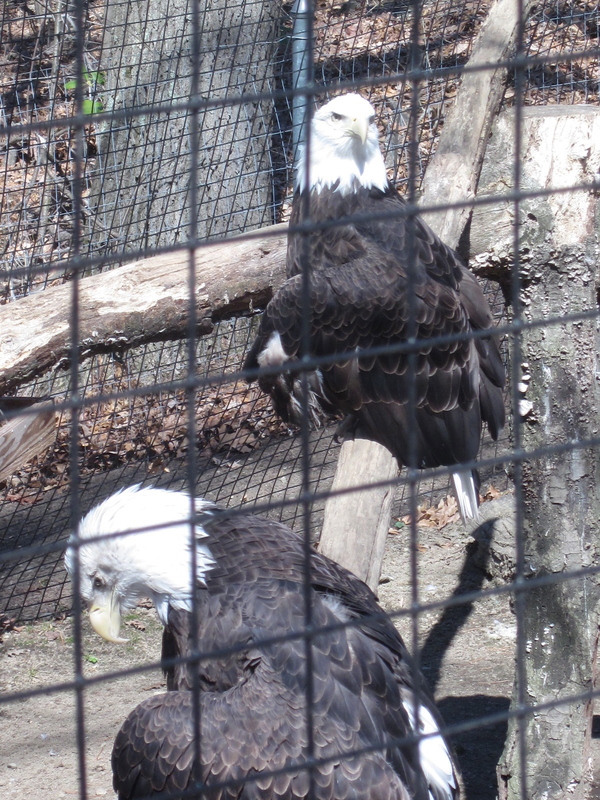 After watching the live Eagle Cam on Decorah for the last month and reading lots of books about bald eagles, it was so nice to see two up close. Seeing them together we could really see the difference between male and female (female is 3 lbs bigger) and the features that help us to identify them in the nest on the web cam. It was GREAT! BTW…the eggs on the webcam should hatch any day!!! We will meet you there anytime!!! !